The third UTAR Soft Skills Development Certificate (USSDC) presentation ceremony held on 22 October 2011 at the university's Petaling Jaya campus saw 65 participants receiving their certificates from UTAR President Ir. Professor Academician Dato' Dr Chuah Hean Teik. The ceremony began with a video presentation of past USSDC activities. This was followed by a speech by Prof Chuah. Prof Chuah said that it is UTAR's goal to nurture graduates to enhance their contributions to the workplace and thus contribute to the society, industry and nation as competent professionals of high integrity. "The purpose of this programme is to encourage students to make unceasing and diligent efforts to pursue holistic self-development, to cultivate self discipline and integrity, to nurture creativity and entrepreneurial spirit, and to develop into broad-minded future leaders with international outlook" he added. There was also a sharing session during the ceremony where five USSDC participants - She Tu Chun Ket, Lim Puey Ru ,Loh Wei Jyh, Chan Yin Yee and Karen Tan Kai Ling - shared their respective experiences taking part in various soft skill programmes. Lim, currently a third year English Language student, said "I joined the USSDC programme to learn more soft skills, and I can say the experience I gained here is truly rewarding". During the sharing session Lim shared her experience of taking part in the Korean cultural exchange programme. "I chose to join the programme because of my interest towards the Korean culture," she added. Also present at the ceremony was Dr Teh Chee Seng, Vice President (Student Development and Alumni Relations); Dr Ngerng Miang Hong, Deputy Dean (R&D and Postgraduate Programmes) of the Faculty of Business and Finance; Ms Sum Kwai Seong, Head of Department of Alumni Relations & Placement, and parents of some of the USSDC recipients. 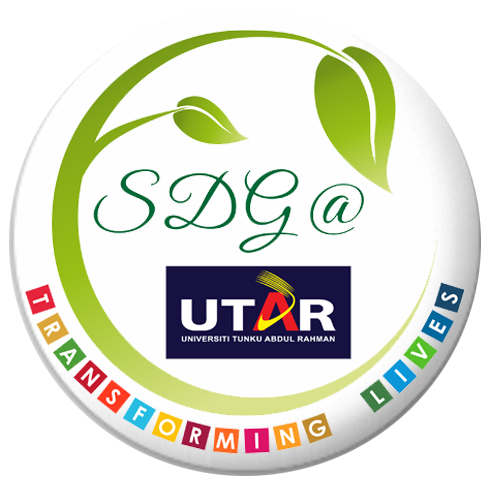 405 UTAR students successfully completed the USSDC programme this year. 146 of them scored distinction, 269 received merit, and 89 received a pass. The UTAR Soft Skills Development Certificate (USSDC) programme is a certification system under this Department of Soft Skills Competency to recognise students' achievements and efforts to improve themselves in areas of communication, leadership, teamwork, strategic thinking, creativity and commitment to integrity. It involves experiential learning in training and interaction sessions and activities outside the classroom.